Among all sporting events, the March Madness NCAA basketball tournament may be the most tailor-made for streaming video. With so many games -- including many that take place during the workday -- it isn’t possible for avid college hoops fans to be in front of a TV set for every one. In fact, March Madness was an early mover in the streaming video space, with CBS first launching a streaming subscription product in 2003, evolving it to a free, ad-supported product in 2006. Now, with high-speed internet readily available on essentially every device, and with streaming video widely accepted by consumers, tourney viewership through streaming platforms is rising. 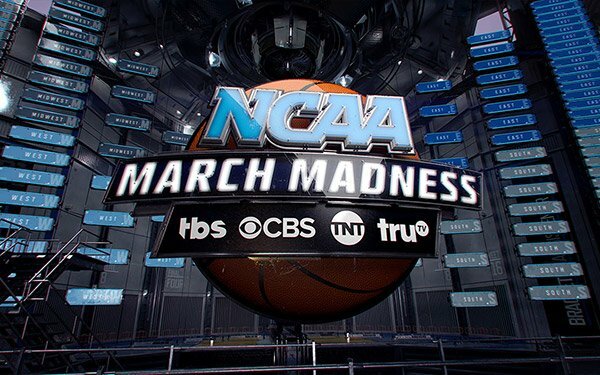 According to CBS and Turner Sports, which have TV rights to the games and operate the streaming offerings, March Madness Live is setting new records for streams and streaming hours so far, with both categories up by more than 25% compared to last year. Data from the streaming measurement and analytics firm Conviva says through rounds one and two of the tourney, streaming hours are up 65% compared to last year. Perhaps most interesting: This viewership is happening in front of the TV glass. While people at work will watch on mobile devices or PCs, even people at home are turning to streaming for their basketball fix. Conviva found 48% of streaming hours were on connected TV devices, with Roku accounting for the lion’s share. In 2017, consumers watched about 20 million live video hours. That was up from 8.6 million in 2009. With those numbers increasing by double digits each year, and with connected TV continuing to rise, March Madness may yet break more streaming sports records.